A wonderful opportunity to enjoy a Spring Break in the Netherlands, on a tour mixing colours of this time of year with visits to its major attractions. We have arranged a tour of Delft Pottery, so you can see first-hand where the very early ‘Delft Blue’ was produced from 1653. Later we visit Delfts historic centre, where the rows of gabled houses, almshouses and the Prinsenhof (former residence of the Princes of Orange) symbolises much of Holland’s history. 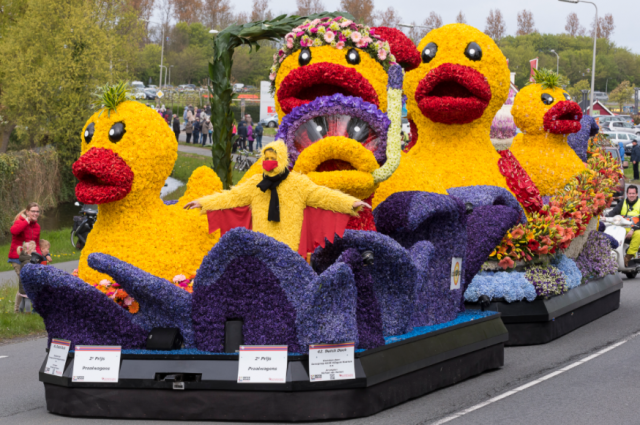 At this time of year, it’s also Bollenstreek Flower Parade, a carnival of floats richly decorated in spring flowers projecting a unique colour and perfume as each vehicle passes. Supported by bands of local musicians this one-off event comes alive and we have arranged viewing for all on the tour. Finally, we will be visiting the world famous Keukenhof gardens, the largest Spring garden in the world; 7 million flower bulbs of daffodils, hyacinths and tulips in bloom. There are also seven special show gardens to marvel at, each reflecting the latest trends in horticulture. Time at Keukenhof will be free for you to wander over the 79-acre site at your own pace, to delight at the colour and pick up inspiration for your own garden. 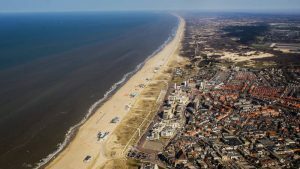 We meet up at a campsite in the lovely coastal town of Katwijk, where we are pitched near to one of the best of Holland’s west coast beaches. We stay here for six nights and this evening get together for a welcome dinner in the campsites own restaurant. Our excursion for today is to the magnificent Keukenhof Gardens, one of the most photographed gardens in the world. You will be free to wander through the grounds, gardens and pavilions at your own pace. 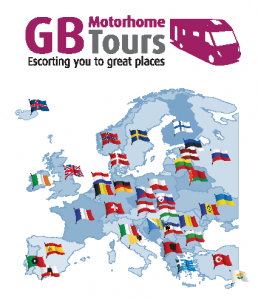 We will take our coach to Delft, this morning where we have a guided visit of Royal Delft Pottery to see and learn the history of the “Delft Blue”, afterwards we go into the historic city centre where you have free time for lunch and a wander around, several stalls should also be on display as it is Market Day. Time to relax or take a walk along the promenade to take in the sea air; it is after all Sunday! With our 48-hour travel ticket you have unlimited use of all metros, evening busses and trams throughout Amsterdam which gives you the opportunity to explore this wonderful city at your own pace. 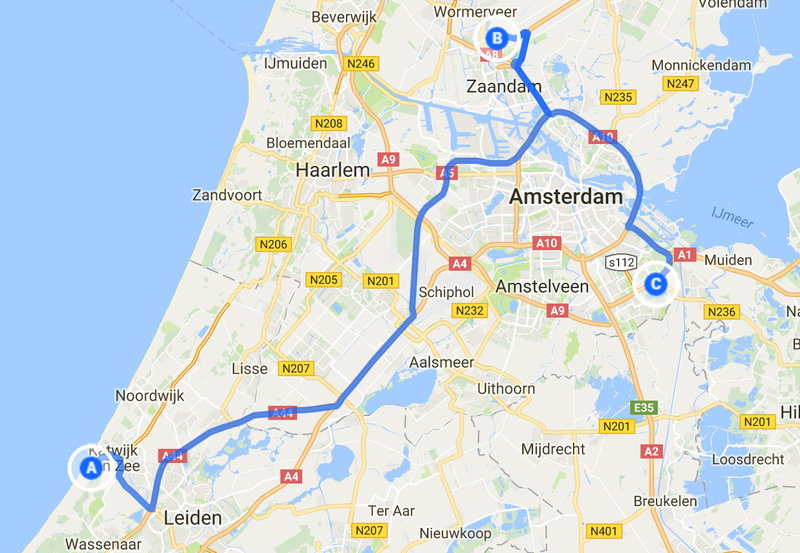 Five minutes’ walk from the campsite will bring us to the metro station, and Amsterdam is only 15 mins away. This morning we all travel to the city together to learn the transport system and start the day seeing the city from the water with a canal cruise. 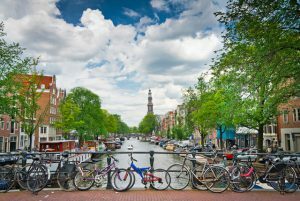 For the remainder of the day you have free time to complete your own visits; with Anne Frank Museum, the word famous Rijksmuseum, Van Gogh Museum, Flower Markets, Shops, Cafés and Restaurants you certainly won’t be stuck for things to see. 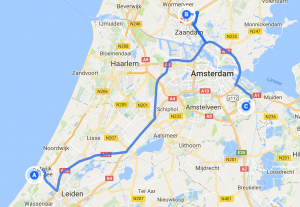 Our tour ends this morning; we can travel back towards our ferry destinations or you could extend your stay in the Netherlands or on the continent.